Learn how to make an easy silhouette on a rock. This step by step tutorial will walk you through creating beautiful butterfly rocks. Create a perfectly symmetrical butterfly on a marble backdrop. Super simple, but looks amazing! Butterflies were our theme for one week of our #52Rocks! challenge. I received several messages from readers explaining that they were having a hard time with this prompt. Butterflies are tricky to paint! They are detailed and symmetrical and just a challenge. This silhouette method is perfect for beginners or anyone looking for an easy way to create butterfly rocks. 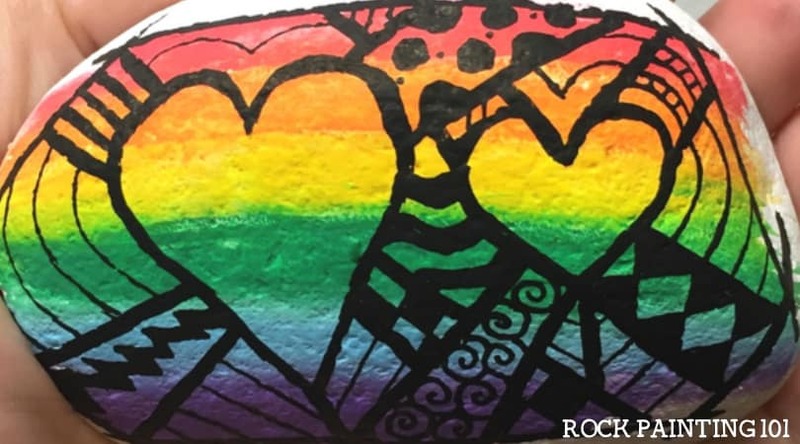 How to paint a butterfly onto a rock! The first thing that this butterfly rock will need is a fun backdrop. To create the marbled effect, begin by getting the surface of the rock nice and wet. Next, grab a few Posca paint pens and dab them around onto the rock. You’ll see how the paint spreads onto the wet rock. Don’t press hard. Just lightly tap the pen. Continue doing this until you have a nice wet layer with 3-4 different colors. Grab a slightly wet paintbrush and lightly splatter some water onto the wet paint. Then blow the paint around your rock. You can blow directly onto the rock or you can use a straw. Either way, lightly blow until you have the marbled background that you like. 101 Tip! : Make sure you have chosen colors that will blend together nicely. You don’t want to end up with muddy patches in your backgroud. Let this background dry completely. While it’s drying, print a picture of a butterfly silhouette onto a piece of paper. Cut the butterfly out so that you have a nice template. Using some painters tape, secure the template to your rock. 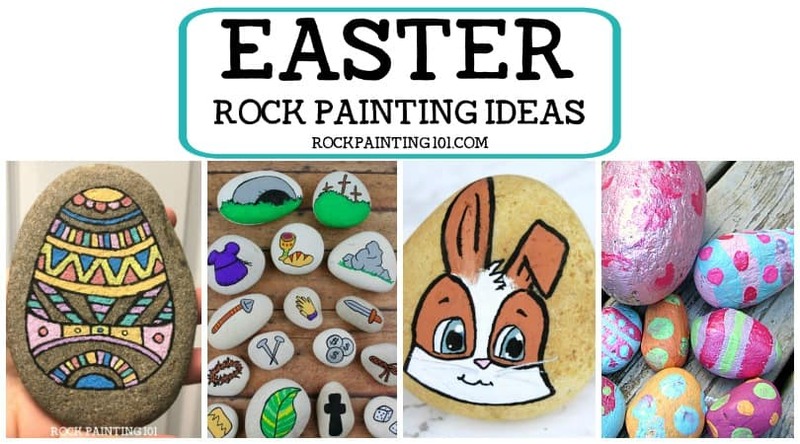 Grab your black Posca pen, or a paintbrush and some thick acrylic paint, and paint lines from the template out onto your rock. You want to paint straight out from the template. Be sure to go slowly around some of the more detailed areas. Once you have done this around the entire edge of the template, gently peel the template up. Once the template has been removed, you’ll see the outline of your butterfly. It should be pretty clear. Take your paint pen or paintbrush and paint all around the exterior of your butterfly, until all that’s left is the fun marbled interior. You may need to take a smaller pen an touch up along the edges. This technique isn’t just for butterfly rocks! Check out these amazing examples that our Facebook followers did after my original Facebook Live! Pin this painted rock to your favorite Pinterest board!